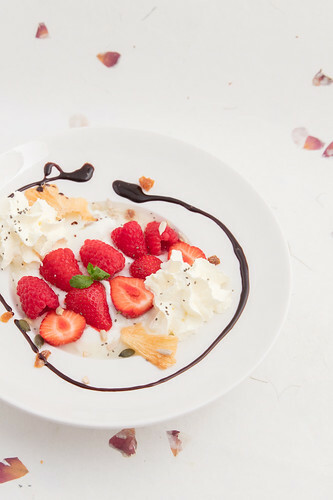 Yogurt with raspberries and strawberries. Plain yogurt with strawberries and raspberries. Whipped cream and dried pineapple. Chia seed, dried fruit and seeds as garnish. Mint leaf. Decorative surface.